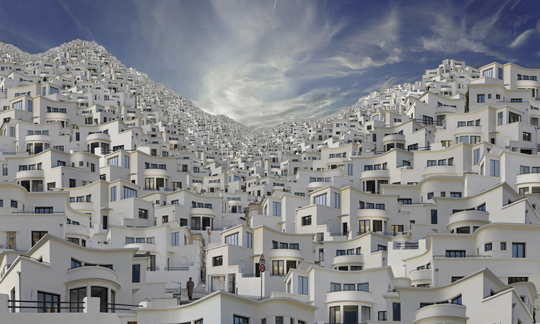 French photographer Jean-Francois Rauzier's "Hyperphotos" will blow you away. Just what is a hyperphoto? Rauzier coined the term himself. 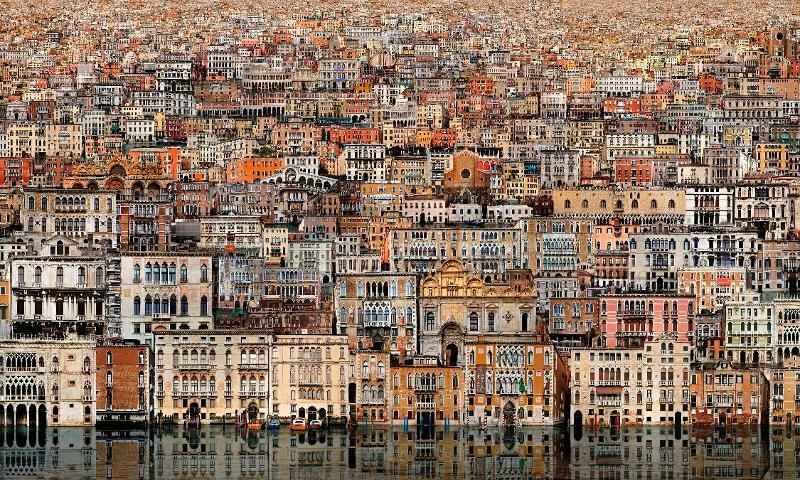 It is a layering of hundreds of thousands of high-resolution images into one amazing, large-scale seamless collage. Rauzier has been using a camera professionally for almost 40 years as an advertising photographer. Being in the business taught him much about the technical aspects of photography. However, he yearned to use his creative side and his love of art history and literature. 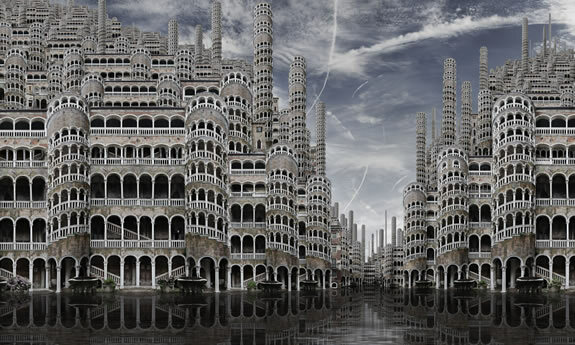 Rauzier has been a full-time artist since 2000 when he started producing his hyperphotos. Each hyperphoto is composed of between 600 and 3,500 individual close-up images, taken one by one, using a telephoto lens over a period of one to two hours. Once Rauzier is satisfied that he has captured the scene, he "stitches" them together using Photoshop, until the whole image becomes one. They are then printed in large-format sizes such as 35 inches x 75 inches, 47 inches x 98 inches, and 70 inches x 118 inches. The settings in Rauzier's photos are all recomposed, whether they are landscapes, seascapes or interiors, offering contrasting views of places both real and imagined. To help re-create his extraordinarily detailed and super-natural backgrounds, Rauzier has built a vast image library of buildings, people, trees, skies, forests, and fields. This allows him the freedom to invent compositions as if he was a painter, by controlling the lighting and the placement of objects. The hyperphotos are executed in a format that can be printed up to 30 feet by 10 feet without losing any of the detail or quality. Their sheer scale is what draws the viewer in, even when they are printed in a more "manageable" size. 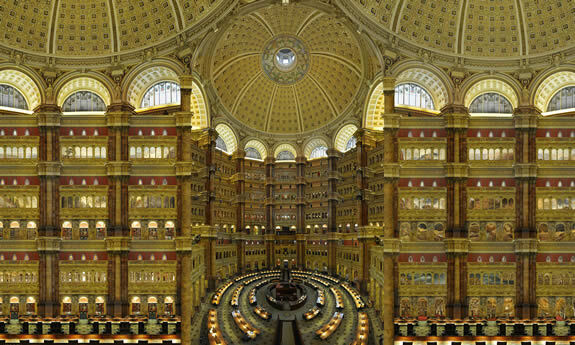 As Rauzier states himself, "When you are looking at a Hyperphoto, at first you think you are looking at an enlargement of a panoramic photograph. Not quite. 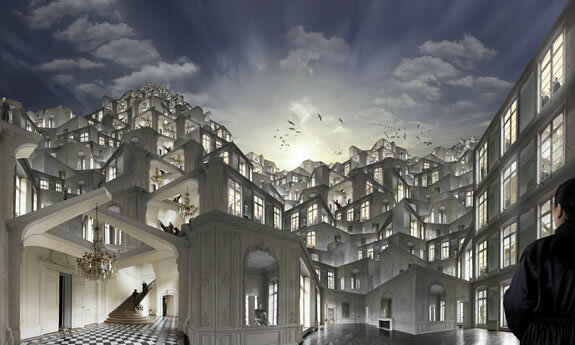 Look more closely...the viewer gets distanced from the real world and absorbed into a universe of dizzying magnitude". 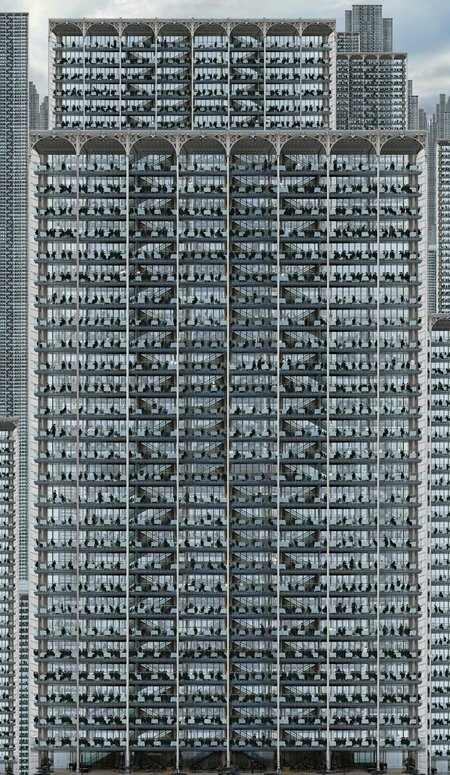 To give you an example of how detailed Rauzier's works are, in his photograph above titled Citadelle 1, the majority of images were taken from a ground floor apartment in a large hotel in Paris. Rauzier has talked about walking through the vast empty halls of the hotel, feeling faint as the walls seemed to fall away and then move back again, multiplying in infinity. The twilight hour seems to have obscured the inside from the outside and brought on the appearances of well-known authors. A key to the 60 writers represented in the photograph is supplied with this work. They include Lewis Carroll, Charles Dickens, Edgar Allen Poe, and Jules Verne. Jean-Francois Rauzier was born in 1952 in France and graduated with a degree from the French Photographic School, Ecole Nationale Louis Lumiere. He has had numerous shows in Europe and won several awards for his work within the last few years. Rauzier will be having his first solo New York show in May. It will definitely be worth the trip! 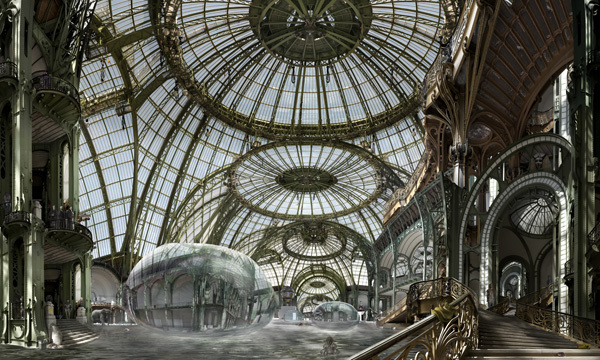 Prices for Jean-Francois Rauzier's work range between $11,500 and $27,500.